Juniar are the UK’s leading spray booth and paint finishing equipment manufacture. 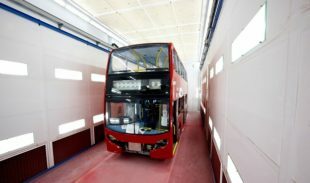 Our award winning patented product designs, engineering excellence and commitment to building energy efficient, high quality, technically advanced paint finishing equipment ranging from a single spray booth to a fully automated paint line, allows us to provide solutions to a range of blue-chip organisations within the automotive, commercial, industrial and aerospace industries. Our approach is to understand the challenges you face, then to develop and tailor a solution that helps you work smarter, save time and money and achieve outstanding results, now and in the future.